GARLAND, Texas - July 24, 2017 - PRLog -- As the new school year rapidly approaches, so will the efforts to fund various school-related activities. From various sports activities to musical arts, booster clubs and voluneers get to work raising dollars while the student body works at raising grades. One North Texas organization hopes it can help, and it has brought old friends like Donkey Kong and Dig Dug along to help. 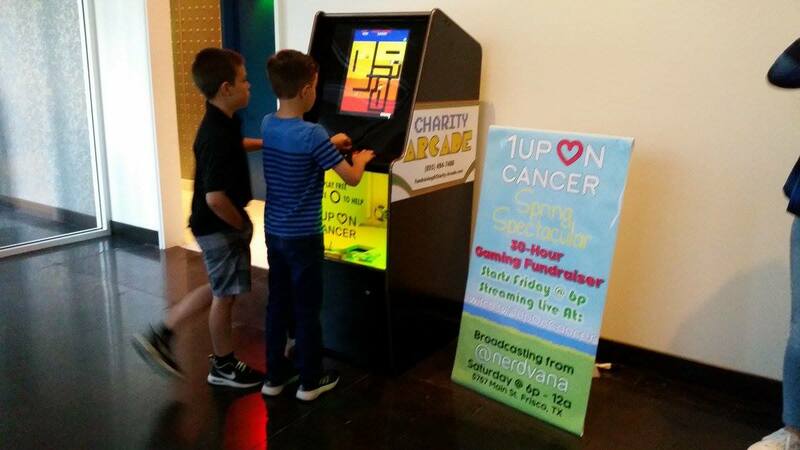 Charity Arcade is a custom made video arcade game cabinet gives fundraising interests the ability to raise money through the drawing power of 1980s video game classics. Users can insert any amount of money they wish into the Charity Arcade machines and choose from dozens of retro arcade titles to play. From Galaga and Ms. Pac-Man to more obscure classics such as Qix and Mr. Do's Castle, there's something for everyone to enjoy on the Charity Arcade machines, all while raising money for their school activities. "People of all ages enjoy these retro game titles, and few can pass up the opportunity to play their favorites," said Patrick Scott Patterson, Charity Arcade's Social Media Manager. "If anything, these games have become so timeless now that you are hard pressed to find a person of any age that doesn't know them. That helps any fundraiser reach their goals." Run by Garland, TX mainstay Bubb Fundraising, Charity Arcade launched this past spring and has already appeared in locations across Dallas, Frisco and even Oklahoma City to help raise funds for organizations such as 1Up On Cancer and Hotdogs for the Homeless. Now with the new operation in full swing, the folks behind this alien blasting fundraising idea hope to help schools all across North Texas and beyond. More on Charity Arcade can be found on their website at http://www.Charity-Arcade.com.